To retain our goodwill in clients' consideration, we manufacture, trade, export, import and supply a quality approved Gram Sorting Machine. Our offered sorting machine is precisely manufactured using advanced technology and superior quality components. Used for coffee, rice, wheat, pulses, sesame seeds, peanut, plastic and garlic industry, this sorting machine is highly acknowledged in the market. 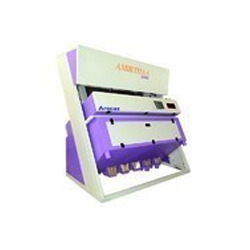 Our prestigious clients can avail this sorting machine in variegated technical specifications and sizes at nominal prices. 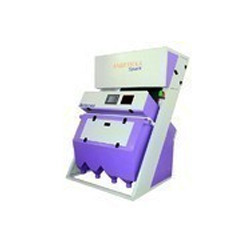 Looking for Gram Sorting Machine ?